Iran says it had received a proposal from Qatar to increase the level of trade between the two countries by five folds. 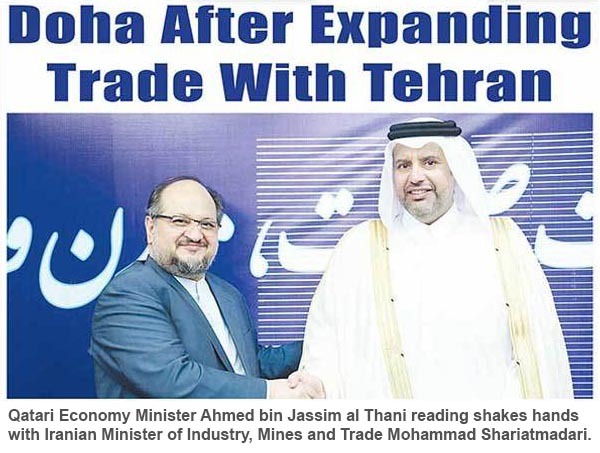 The announcement was made by Iran's Minister of Industry, Mines and Trade Mohammad Shariatmadari after a meeting with the visiting Qatari Economy Minister Ahmed bin Jassim al Thani. 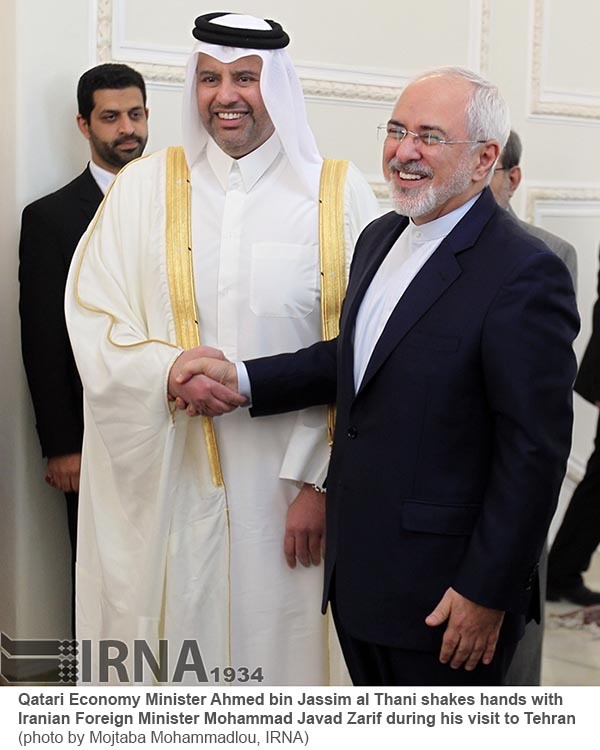 The Iranian minister said Qatar was eager to expand ties with the Islamic Republic in all areas as a result of the current conditions that the Saudi-led blockade against it had created, according to a report by Iran's IRNA news agency. This created a rise in Iran's exports - particularly fruits and vegetables - to Qatar over the past months. Iran has also become a corridor for exports of other countries to the blockaded Persian Gulf state.